Now, after updating the software seven times since its release in 2011, Apple is launching a campaign Thursday aimed at winning back skeptical professional users. 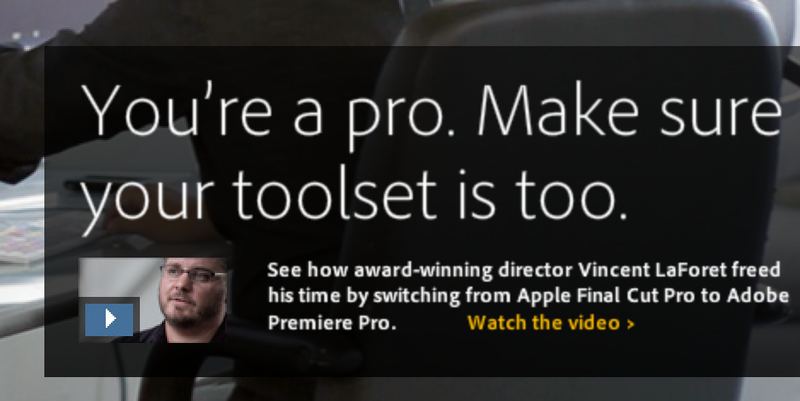 Starting Thursday, the company plans to begin posting three stories on its website, including Liurette’s, aimed at changing the minds of folks like Miller by demonstrating how sophisticated users have embraced Final Cut Pro X. The stories will also feature Tsui Hark, one of the biggest names in Hong Kong cinema, and TV Azteca, which produces thousands of telenovela episodes every year.